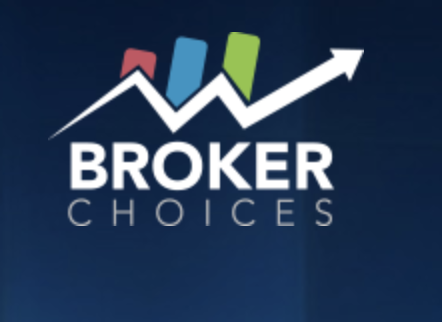 BrokerChoices new website is a one-stop solution for Forex and Cryptocurrency traders in need of expert advice and the best broker accounts, and it’s live. Not only does the site focus on educating potential traders through informative guides but it also helps clients find the right online brokerage firm option. Our site is all about putting the needs of newbie traders first, however, it’s been designed in a way to benefit experienced traders too. As trading experts, the team behind BrokerChoices has developed an easy-to-use website aimed at those who want to get into trading the financial markets. It’s essentially a go-to site for comparing online Forex and Cryptocurrency brokerages based on professional reviews. With BrokerChoices, clients can discover the various brokers on the marketplace and find the one that best suits their trading needs. When a beginner or seasoned trader comes across an online broker they like the sound of, they can simply click on a link to be taken to the broker’s site. As the client will already have an informed and impartial view of the brokerage firm, they will feel more confident about opening an account with their chosen brand. In addition to helping visitors find brokers, BrokerChoices also offers Crypto IRA Accounts. BrokerChoices is run and managed by ATM Media Ltd, a well-known affiliate of leading Forex and Cryptocurrency brokers that provides detailed guidance on online brokerages which are operating in the most countries globally. The new site also features must-read information, such as the latest incentives, savings and offers available from the brokers the company is affiliated with. The BrokerChoices website isn’t just an online space for traders to review and compare brokers though. It’s also filled with educational content and free guides to help visitors learn all they need to know about trading Forex and Cryptocurrencies. From improving trading skills and getting to grips with live charts to discovering the benefits and risks of trading, it’s a convenient place to go for helpful tips and guidance as well. Whether you want to become a Forex or Cryptocurrency trader (or both), BrokerChoices helps you acquire the right knowledge and choose the most suitable broker and online trading account. Research is key prior to committing to a specific broker and, thanks to this new site, finding all the answers you need is quick and easy. As all of the advice and helpful content available on the website is free, it proves that the company really does want to assist traders in making the best broker choices.